In this episode, Sarah takes us through the gruesome murders and surgeries of Christopher Duntsch, AKA Dr. Death. This psychopathic surgeon was able to wreak havoc on patients while hospitals made money off his botched surgeries. By the time he was arrested, Duntsch left a trail of destruction leaving over 30 individuals permanently paralyzed and in some cases, dead. 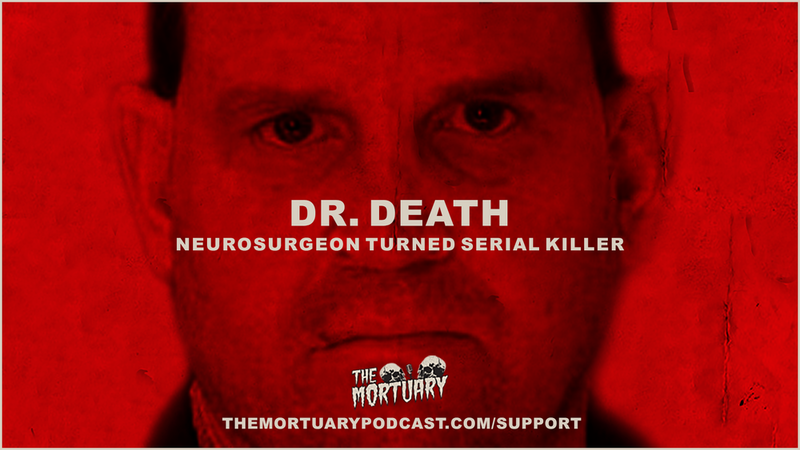 Join us as we dive into another gruesome true crime episode of The Mortuary.